The following map provides 90% bus stops at all the streets in Penang. User can zoom in and click on the placemarkers to know more about the bus stops. Routes of Rapid Penang can be referred here. Some of the bus stops location are not available and the bus stops involving Bayan Lepas will be added and improved in future updates. Feel free to comment if you think that you can contribute. This guide is provided by mypublictransport.com crews and is the exclusive guide only available at here. This is fantastic!!! Does anyone know if i can open these bus stop points on my google earth? Hi, may I know how many existing bus stop is available in Penang Island only? You can refer to MPPP for the records of bus stops. You can use 101,102,104,304,10 and get down near Convent Pulau Tikus. If you use 103, you can get down anywhere near Jalan Kelawai. You can just walk and reach in 15 minutes. You need to use 104 from Burma Road to Gurney Plaza, this is the nearest choice. Hi, which bus should i take from jetty-island hospital? and which bus stop to stop if i want to go to island hospital? Thx. You can use route 101 and stop opposite to Gleneagles near Jalan Pangkor. Hi, thx for the reply. 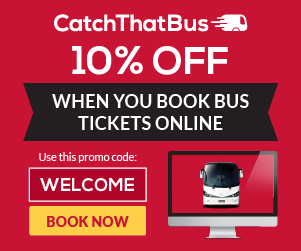 Can i use route 10 from jetty and stop at Cantonose Methodist Church? Is there any bus stops there? bcos google map shows it's nearer to island hospital. Yes you can but you may end up waiting 1 hour for route 10 while 101 is available every 10 minutes. Just in case route 10 is available at Jetty, then you can just use it. If not then just pick up 101 to reach your destination faster. 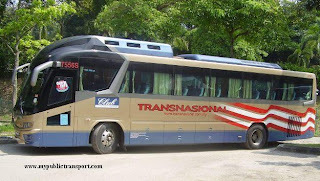 Hi, can i know if i wanna take bus from penang airport to burma road (Looi Orthodontic Clinic), which bus should i take? and for back to airport at there, need take which bus ya?? Urgent!!! 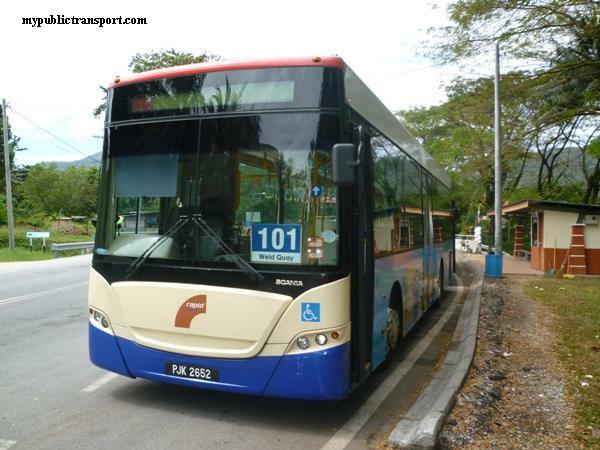 Thx..
You can directly use Rapid Penang 102 to Kelawai Road, then walk to Looi Orthodontic Clinic at Burma Road. Kelawai Road and Burma Road are now one way so you need to walk some distance. To go back Airport, just use 102 directly from Burma Road. From Sungai Nibong you can take 304 to Hotel Mingood. Then, you can take 301,303,401 from Jetty(near to Freedom Leisure Cycle Supply) to Sungai Nibong Bus Terminal. Using 304 is the fastest way yet it is not far to walk from Jalan Burma to Mingood. If you want to get down at Sri Bahari, you can stop near Komtar and take the other bus such as 101,201,202,203. You will stop at TM Point at Jalan Burma. You can take 304 outside of Sungai Nibong Bus Terminal, near Jalan Sungai Dua. How to go penang times square if I take rapid? Hi, you can take Rapid Penang 201,202,203,204,206,11,304,102 or 502. Hi, you can take Rapid Penang 102. You can stop near to Gurney Plaza and walk to Adventist Hospital. You need to walk because of the one way traffic direction. Hi . May I know which bus should I take if I am going to bayview hotel from jalan edgecumbe? Thanks. Hi, you can take 101 from Kelawai Road to Bayview Beach Hotel. If you're going to Bayview Georgetown, you can take 104 from Burma Road. 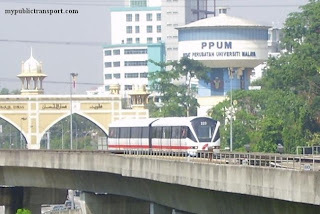 Hi, you can take Rapid Penang 101, you can stop after you see Penang Plaza on your right at Jalan Burma. Hi, you can take Rapid Penang 301,303 from Jalan Sungai Dua, and 401 from Jalan Sultan Azlan Shah. hi,is the big bus stop opposite the main entrance of sungai nibong bus terminal is located at Jalan Sultan Azlan Shah?Because i saw in google map there are another small bus stop, seems look like located at Jalan Sungai Dua,am I correct? Excuse me one more question,compare with 401,are the Jalan Sungai Dua bus stop (from sungai nibong) select Rapid Penang 301 & 303 will be more faster to go to Jetty bus terminal and Komtar(from sungai nibong)? Hi, instead of confusing youself, you can choose to take 301,303 from Sungai Dua. They are much more frequent than 401. Hi,sorry disturb again,can i use the following bus stop link take 303,301 go to Komtar and Jetty bus terminal? Hi, you can't take 301, 303 from the stop you gave. It is the direction that heading towards Relau and Bayan Baru. hi,i think i get the correct bus stop(301 & 303) to go to Komtar,is the following one,correct? Yes, this is the one I show you before. Hi,which bus routes more frequent and bus stops from 1) Sungai Nibong bus terminal to Tune Hotel, 2) Komtar to Tune Hotel and 3)Tune Hotel to Sungai Nibong bus terminal? 1) Take 304 or 102 directly to Tune Hotel. However 304 and 102 comes 40 and 90 minutes respectively. SO you can also choose to take 301,303 to Komtar, then take 101 or walk to Tune Hotel. 2) You can take 101, it comes every 10 minutes. 3) You can walk to Komtar and take 301,303,401 to Sungai Nibong. hi,if i take 101 from Komtar to Tune Hotel,which bus stop should i get down? Hi, you can stop opposite to New World Park. hi,i need to confirm if i go back from Komtar to Sungai Nibong the following bus stop,is take 303/301 bus route,am i correct? excuse me,i have to amend my previous question,the correct question is if i take 301/303 bus from Komtar to Sungai Nibong bus terminal,which bus stop should i get down,is the following one you gave me before? Hi, you can take 301/303 and it will directly stop inside Sungai Nibong. Hi may i ask which busnshould i take and which bus stop should in go down from penang jetty to Shangri-La’s Rasa Sayang Resort & Spa? hi,if i am in ghee hiang branches(lebuh pantai) want to take CAT bus go to Komtar,the following 2 bus stop which one should i choose? The second question is if i take 301/303 bus in Komtar to go to Sungai Nibong bus terminal,what platform number should i go to waiting for? Hi, you can take 101. You can get down opposite to the hotel. Hi, you need to go to the stop Number 2 from your link. sorry, i still confuse, did you means there are only one platform in Komtar bus terminal specially for Rapid Penang? Because what i need to ask is in Komtar bus terminal take 301/303 go to Sungai Nibong is belong to what platform number? Hi,sorry, I thought you mean Sungai Nibong. In Komtar, you can go to Lane 3.
it's ok,thanks your guidance and answer me so many questions. sorry wanna ask again, that day yous said bus 101 can reach shangri la hotel, wanna ask the hotel on my which hand, estimate time from penang jetty to shangri la hotel and go down near jalan batu ferringhi? due to searched the bus route 101 did not provide any bus stop can stop in the hotel. Hi . May I know which bus should I take if I am going to bayview georgetown hotel from jalan edgecumbe and which bus stop should I get down? Thanks. HI, you can just walk from Edgecumb to Bayview. It is about 2km, If you opt to take bus. You can walk to Burma Road and take 101 to Sri Bahari Road and walk to Bayview. so does it means that i can take the 101 bus at the bus stop that is located beside the sokka gakkai malaysia near jalan burma there to go to bayview georgetown hotel? 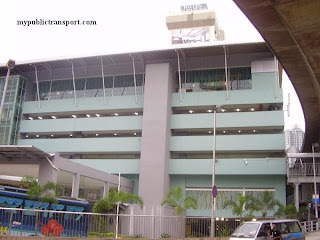 what is the nearest bus stop that i can get down to go bayview georgetown hotel? How many minutes does the entire journey takes bacause i start working at 7am and i am afraid that i cannot reach the destination on time. HI, yes you can use the bus stop beside Sokka Gakkai. You can stop near The Ship restaurant near Sri Bahari. There is no problem to reach at the morning as normally it just takes about 15minutes for this journey. 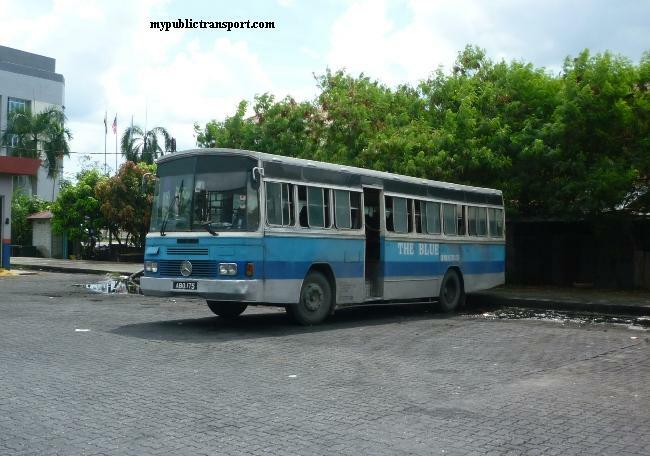 Which bus should i take if i want to go to island hospital from georgetown hotel? Urgent..
Hi, you can just walk directly. It is just 2km away. Taking bus will takes you more than 1 hour as there is no direct bus between there. 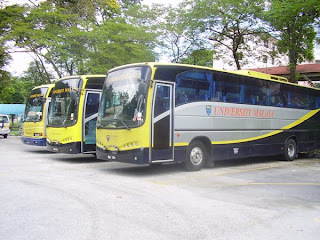 Hi which rapid bus should I take If I want to go to Wawasan University, Jalan Sultan Ahmad Shah, 10050 Penang from Penang Chinese Girls High School? Hi, you can take Rapid Penang 102 to Jalan Burma, and then walk to Wawasan University. I'm staying in Persiaran Mahsuri 2/4. What is the nearest (walking) bus stop and bus route to go to Queensbay? Hi, you can go to the bus stop near Mayang Mall and take Rapid Penang 304,307,308,309,401E to Queensbay Mall. when arrive advertist,where shld i go down?there hv bus stop or not?how about jetty? 2. Any bus that heading back to Jetty, you can get them from Ong Kongsi,or 1st Avenue, or CAT bus stop. You can stop opposite to Adventist hospital, near Midland Park. Jetty is the bus terminal. Hi, you can take Rapid Penang 303 from Sungai Dua USM to Jalan Mahsuri. Hi, you can take Rapid Penang 101 from Adventist Hospital to Tune Hotel (you can stop at Transfer Road). From Tune Hotel, you can walk to Komtar and take 102, or 401E to airport. Hi Again, What should I do to reach Adventist hospital from Tune Hotel By bus? Hi what is the bus stop number code outside The Summer Place Condo (Lebuh Sungai Pinang 8)? Hi, this is the location of the bus stop. You can take Rapid Penang 12 from there to Komtar and Weld Quay. Hi, which bus should i take from penang jetty to wawasan university? And from wawasan university to penang jetty? Thank you. Hi, you need to take any bus from Jetty to Komtar, then take 103 to WOU. Thank you. How about from WOU to jetty? From WOU, you can take 103 or 104 to Komtar, then take any bus that heading back to Jetty from 1st Avenue or Ong Kongsi. Checkout the LED on the bus then you will know whether the bus is heading back to Jetty. The faster way though is to walk to Sri Bahari and take any bus, because all the bus at Sri Bahari is heading back to Jetty. hi,can you help me answer the following questions? 1)Is the CAT bus still provide free bus service in penang? hi,can u answer me the following questions? 2)if the time is 9.30pm,is any bus routes still available for me from Gurney Paragoon to go back to Tune Hotel? 2. Yes, 101 is operating until 11.00pm ++. 3)may i know the estimated time from Komtar to Batu Ferringi? 1. It is not the nearest but it will be the fastest. 2. You can take 101, once you reach Batu Ferringhi, there are more than 5 locations that you can access to the beach so you can just choose any of them. 1)can you show the nearest bus stop from Gurney Paragoon to Tune Hotel and mention the bus stop by instant street view? And roughly how long time i need to wait for the bus if i choose this nearest bus stop?Is still choose 101 bus? 1. You can't reach by 1 bus if you start from Gurney Paragon. So I not recommend you to do so. 2. It's all depends on which part of the beach that you get down previously, then you can go to the bus stop opposite it. 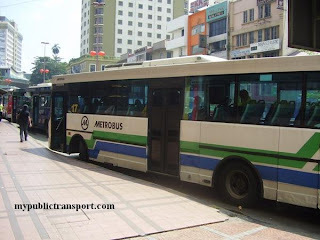 hi sorry disturb again,can i get down ithe following bus stop f i come from Komtar to Batu Feringgi? and get up from this one so that i can go back to Komtar? Yes you can. Correct for both. Hi, it will. Penang MPPP has change the traffic flow thus the bus will pass by there, but then that is the reason why you have to walk slightly further for return journey. hi,if i am in jetty,want to take CAT bus to jalan transfer,last time the link you give to me http://www.instantstreetview.com/@5.418207,100.329478,-1.84h,-4.29p,1z, will the CAT bus passed by this bus top? Is this bus stop belong to CAT bus stop no. 11? Hi, yes, CAT will pass this stop, it is No.11. 2)Any nearest CAT bus stop around Malabar Inn? 3)If I am in Gurney Plaza,want go back to Malabar Inn,am I still choose 101 bus?which bus stop should I get up?is this one also? (http://www.instantstreetview.com/@5.432796,100.306385,-14.62h,-1.06p,1z) and which bus stop should I get down? 1. You can take 301,303,304,401,102 from Sungai Nibong to Komtar, then walk along Jalan Sungai Ujong to Malabar Inn. 2. The nearest is at Chowrasta, Penang Road. Yes, but it is not important because you can get down anywhere near Komtar. hi,good morning,if i am in Malabar Inn,want go to Jetty,are the following bus stops all are heading to Jett?May I know which one is the most buses passe by?which number bus route I can choose to go to Jetty? Hi,as long as you are at the bus stop near 7 Eleven, all the buses are heading to Jetty. It is referring to the 7 Eleven near Chulia Sreet. I am new to penang and want to travel from D'piazza condo to Altera (industrial zone 2) .everyday . Please suggest if there any public transport available in this root. 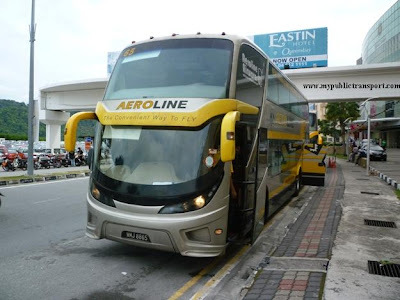 Hi, you need to take Rapid Penang 304,307, 308, 401E from Mayang Mall to Queensbay Mall, then take BEST C to Altera. BEST C starts from 6.30am to 7.50am with 4 trips per day. You need to purchase the monthly card for BEST to ride BEST C starts from September. Hi. Im staying in kampung melayu lama. In a flat named desa mawar. Can u advice me which bus to take to go wawasan open university from kampung melayu lama. Its pretty far. Hi, you can take Rapid Penang 204 to Farquhar Road, then walk to Wawasan Open University. Hi, you can take Rapid Penang 104. Hi, 104 does reach WOU directly, you can walk to Jalan Evergreen for the bus. The bus don't pass Island Plaza directly. 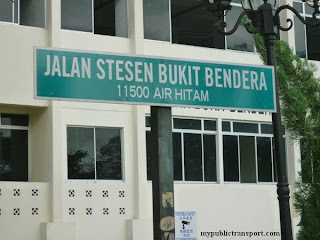 which bus i can get from Penang Chinese Girls' High School(Jalan Gottlieb) to Lebuhraya Thean Teik? Hi, you can take Rapid Penang 101,102,103,104,10, 304 from Tune Hotel to Kelawai road and walk to Burmatel Hotel. Hi. Which bus should I take from Bukit Mertajam to Sunway Carnival Mall? And how to get back, Use the same bus? Hi, you can take Rapid Penang 709 for both way. hi how to go to jetty from gurney plaza and which station?? Hi, you need to walk from Gurney to Jalan Burma and take 101 to Jetty. Hi,can you guide me with this route please? 1. From penang airport to YMCA hotel. Through the comments i read, I need small change for the bus fare, do you have any idea where can i change them? Hi, you can take 102 from Airport to Pangkor Road, then walk to YMCA. From YMCA, you can walk to Macalister road and take 101,102,304 to opposite of Sunway Hotel, then walk to Tune Hotel. From Tune Hotel you can walk to Burmahtel. From either Tune or Burmahtel you can walk to Komtar and take 102 or 401E or Airport Transit (AT) to the Airport. For small change, the easiest way is to just buy something at the Airport and ask for small change :). Another guide please, from airport to loh guan lye specialist centre, can i take 101,102,104,304 from the airport as well? How long is it will be in approximate time? and from tune hotel, can i take 101 or 102 to paragon or gurney mall, notice batu ferringhi night market seems can be an attraction as well? Hi, you can take 102 from Airport to the Oh Eye Clinic and walk to Loh Guan Lye. Only 102 is direct bus. It takes about 1 hour and 30 minutes. 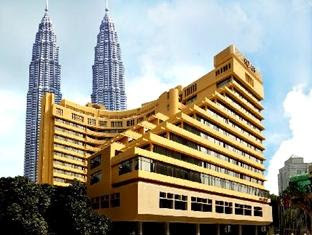 From Tune Hotel , you can take 101,102,304 to Gurney Paragon and Plaza. Yes Batu Ferringhi Night market is an attraction. You can take 101,102 to go over there. Hi, can I know which street art are you going to? You can just walk around in Georgetown and you should find alot. Hi then how can I get to Georgetown from Komtar or Adventist Hospital? Hi, Komtar and Adventist are both in Georgetown. Can I know which specific area that you're heading to? Hi I have some questions here. 2. Take bus 101 or 102. 4. Take bus 304, 307 or 401E. Hi, under typical traffic it is only 10 minutes journey. If I stay in Jelutong, how do I get to Island Hospital by bus? Which bus should I take ? Hi, you can take Rapid Penang 301,303,401 to Komtar, then take Rapid Penang 10 to Island Hospital. Hi, you can take Rapid Penang Route 10. How about from island hospital to solok midlands? Issit the same bus? Hi there,sorry ya. i want to ask again. 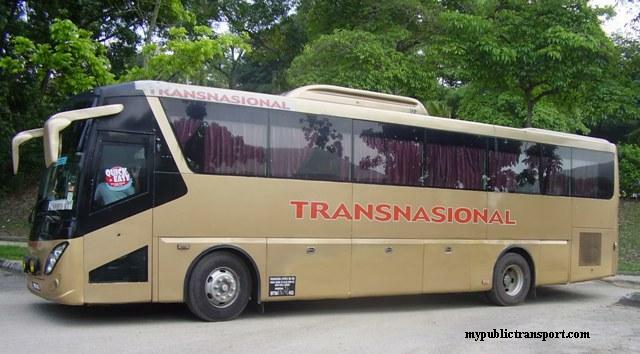 How to travel from jalan terengganu to island hospital by bus back and forth? Which bus should I use? Issit frequent the bus goes there? Yes, it is the same bus. Hi, you need to take 206 to Komtar, then only take bus number 10 to Island Hospital. 206 only comes every hours. hi may i know which bus should i take from penang jetty to shanghai 1910 heritage hotel at Campbell street? which stop should i go down? Hi, you can take 101,201,202,203,11 to opposite of 7-Eleven of Chulia Street, then walk to Shanghai 1910.
tq. 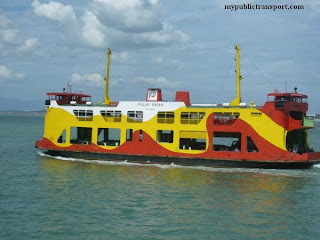 may i know which bus should i take from penang jetty to kimberley house at Kimberley street n which stop should i go down? Will it take a long time to reach there? And what if I wan to go to 1st avenue mall from Kimberley house? Which bus can I take n which stop should I go down? For the rapid penang, what time do the buses start n what time do they end? Hi, you can take any bus from Jetty(except 307 and 401E) to Penang Road 7-Eleven, then walk to Kimberley House. From Kimberley house you can just walk to 1st Avenue. Most of the routes starts from 6am to 10.30pm. Thx. From Kimberley house, I wan to go to bayu emas apartment. Which bus should I take n which stop should I go down? How long does it take to reach there? From bayu emas apartment to national park n escape park respectively, what bus should I take n which stop should I go down? How long does it take to reach there? What time is the earliest bus from bayu emas to jetty? And how frequent is the bus? Hi, you can take 101 to all the mentioned destination, for escape park, it will be further down with walking distance from the Teluk Bahang bus terminal. The bus comes every 10 minutes. Journey is about 40 minutes. Thank you. May i ask the 40 min journey that u said is from where to where? From bayu emas to national park n escape park respectively by bus, online show that I need more than one hour to reach my destination. Is it really going to take so long time? Because what I c on map is just near. 40 Minutes means from Kimberley House to National Park. This is for typical traffic, during peak hours or accidents (very common in Penang), the time may triple. How about from bayu emas to national park n escape park respectively? How long do i need? 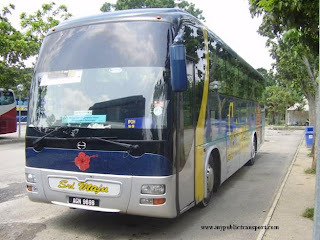 It would be about 15 minutes from Bayu Emas to National Park,and Teluk Bahang Bus Terminal. Walking from Teluk Bahang to Escape Park takes about 15-20 minutes. 1. Is there any route of Rapid Penang from Airport to Lam Wah Ee Hospital..? If yes what number is it..? Is there any transit..? 2. Is there any rapid penang from Lam Wah Ee hosptal to Penang Road (Continental Hotel)? If yes what number is it and where do we stop..? 3. According to number 2. Can we use the same rapid penang from Penang Road to Lam wah ee hospital..? 1. You can take 102 to Jalan Masjid Negeri, then walk or take 206 to Lam Wah Ee, I suggest to walk directly because 206 only comes every 1 hour. 2. You can take 206 or 11 and stop at Sri Bahari Road (near to the Ship Restaurant), then walk to Continental Hotel. 3. Yes you can, but you need to walk to the 7 Eleven of Penang Road to take the bus. 1. Can we take rapid penang from the bus stop opposite Lintang Batu Lanchang to Sri Bahari road? What numbwr shall we take..? 2. When you said we can take the rapid penang 11 or 206 do you mean from right in front of LAm Wah ee ? 1. There is a bus stop at Lebuhraya Batu Lanchang, you can take 11 from there to Sri Bahari Road. 301 and 302 also pass here but only bring you to Komtar and Chulia Street. I have another, what if we want to take Rapid Penang from Airport to Penang Road..? What number shall we take and where to transit..? Do we also stop at Sri BAhari Road..? Hi, for this you can take AT, 401E, 102 to Komtar. You can then walk to Penang road from Komtar. Can I take 301 and 302 from 7 Eleven in Penang Road to Komtar..? Hi, from 7 Eleven Penang Road, all the bus is going to Komtar but not 301, 302. You can take the free CAT bus. @mypublictransport, what about if we want to go to Lorong Kulit from Lam wah ee..? Then from Lorong KUlit to Sri Bahari Road..? Hi, you can take 201,202,203,204 or 502. Same bus for return. Hi,What bus do I take from Island Glades to Pantai Hospital please? Thank you. Hi, you can take Rapid Penang 304. It will ends at Giant Bayan baru but you can just walk to Pantai Hospital. Hi,may I know the following answers? 1)If I am in Butterworth railway station,plan to walk to Butterworth Jetty,may I know the estimate time? 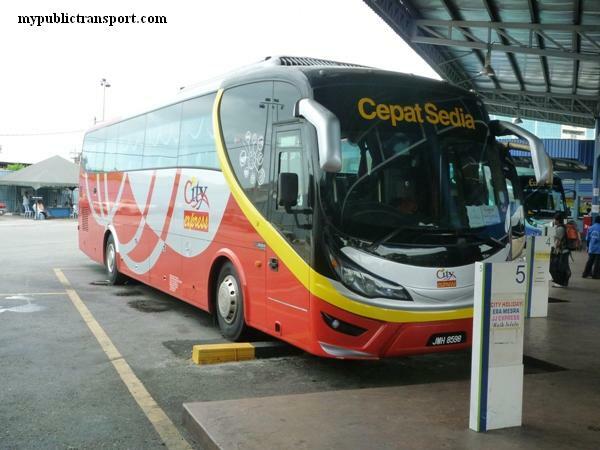 2)If I in pengkalan weld jetty,want to go to Malabar Inn,can I take CAT or 101 and get down at this bus stop? 3)can I use the above link 7 eleven penang road bus stop go to Gurney Plaza and Batu Feringgi by 101 bus? 1. It is about 10 minutes walk only. http://www.instantstreetview.com/@5.432796,100.306385,-14.62h,-1.06p,1z ?and get down at penang road 7-11 bus stop? 2)If I come from Batu Feringgi by 101 bus,want go to Gurney Plaza and Malabar Inn,will the 101 bus passed by the above link Midland Park bus stop and Penang Road 7-11 bus stop? 1. Hi, yes this is the bus stop and you will get down at Sri Bahari Road instead of Penang Road, but you can just walk to Malabar. 2. yes it will pass Midland bus stop and you can back to Malabar as mentioned in 1. Hi, yes there is the correct Sri Bahari and Chulia street stop that 101 will pass through. 1)from Komtar to Kek Lok Xi temple,which bus route should I take,which bus stop should I get down? 2)From Kek Lok Xi temple to Bukit Bendera,which bus route should I take? which bus stop should I get up and get down? 3)From Bukit Bendera to Malabar Inn,which bus route should I take? which bus stop should I get up and get down? 1. You can take 201, 203, 204 or 502, you can get down near to Air Itam town/market. 2. You can only take 204 for this, you can get up at Air Itam town and get down at Bukit Bendera. 3. 204 which will stop at Sri Bahari Road. Can i use the following link take 204 bus go to Bukit Bendera? 1. Although there is no bus stop sign but that is the usual place that bus stops. You can also walk to the place that you show. 2/3. It will be at the entrance. Both 2 and 3 are the same place. 304, 307 and 401E has about the same frequency. Just take whichever come first. There is only one bus stop at Queensbay Mall. Bus from Queensbay Mall will not go pass Penang Road, so you need to get down at Komtar and walk to Malabar Inn. hi,from Komtar to 1)Sun Yat Sen's Pg Base,2)Times Square should take which bus route?and get down at which bus stop? Hi, from Komtar you can choose to take bus 10 to Macalister Road and stop at Sin Chew Daily. You can take 201,202,203,204,206,11,502, 304 to Time Square. You can get down near to Mcdonalds. 1)can i use this bus stop https://www.instantstreetview.com/@5.336677,100.308229,-0.94h,-3.68p,1z take 307/401E go back to Komtar? 2)If i am in Queensbay Mall,the time is 9.30pm,is the 304/307/401E still available for me to go back to Komtar? 1. Yes you can but there is one nearer stop at the entrance of Queensbay Mall. 1)if i after visit SYS memorial centre(Jalan Macalister),want to go back to Komtar,which bus route can take?and which bus stop can get up? 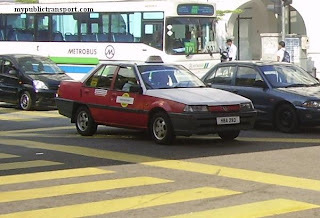 2)Is Komtar Utara bus stop means that bus stop located at the entrance of PENANG ONG SI THYE GUAN TONG? 1. You can cross opposite and take 101 to Komtar. 2. Yes, Ong Guan Tong bus stop is the Komtar North. hi,is this bus stop belong to CAT bus stop no.13 Komtar Timur? Hi, it is Komtar Timur Bus stop. hi, may i know how to go to PLEXUS from USM? Hi, you can take 304, 308 from Sungai Dua to Queensbay, then take BEST A to Plexus. You need to purchase the monthly pass from kiosk such as Komtar or Jetty to board BEST A. 1. In order to go back USM from Plexus, I also need to take BEST A to Queensbay, then take bus 304 or 308 to go back? 2. So, I must have the monthly pass only I can board the BEST bus? 3. For me to reach Plexus before 8am, what time should I take the bus from sungai dua?